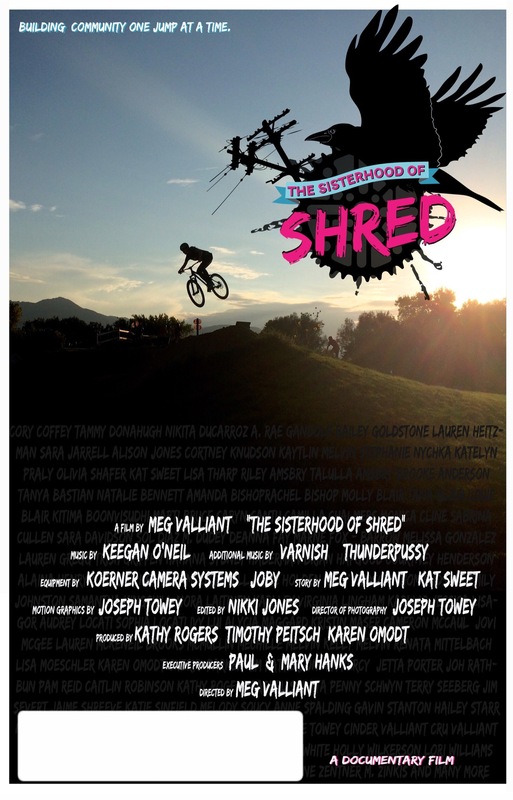 Girlz Gone Riding & REI are excited to bring the Sisterhood of Shred to the local screen! This will be a limited and intimate showing at REI Woodland Hills September 15th at 7pm. In the male-dominated world of jumping bikes, a community of women riders emerge. From all walks of life and different points around the globe, they empower each other to push their personal limits on and off their bikes. They have banded together they are The Sisterhood of Shred. The director of The Sisterhood of Shred, Meg Valliant, a 38-year-old mother of two, who paid her way through college working as a bicycle mechanic creating habits that flowed directly into her career as a full time camera technician with over 14 years of experience in the film industry. She continues to be active in the bicycle industry as a certified coach, brand ambassador, competitor, event organizer, and filmmaker. Organized by Girlz Gone Riding http://www.girlzgoneriding.com/ in support of The Sapwi Bike Park http://sapwibikepark.com/ the suggested donation per person to see the movie is $15.00. You’re welcome to add more. Winner of Seattle Transmedia & Independent film Festival. Winner Best Feature Documentary. This entry was posted on Tuesday, August 28th, 2018 at 11:43 am and is filed under Rides and Events. You can follow any responses to this entry through the RSS 2.0 feed. You can leave a response, or trackback from your own site.